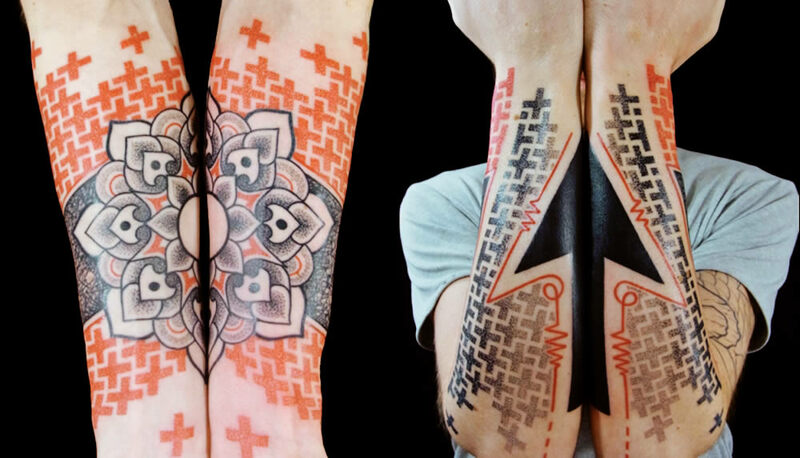 French artist Xoil has a characteristic tattooing style that looks like he has stamped, stenciled, or drawn directly with a felt-tip pen on his clients’ bodies. 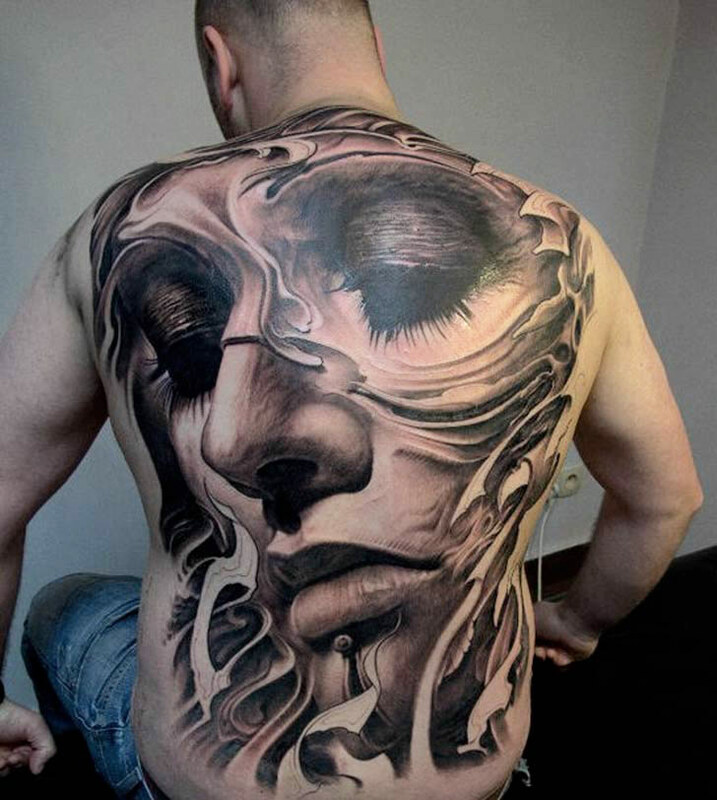 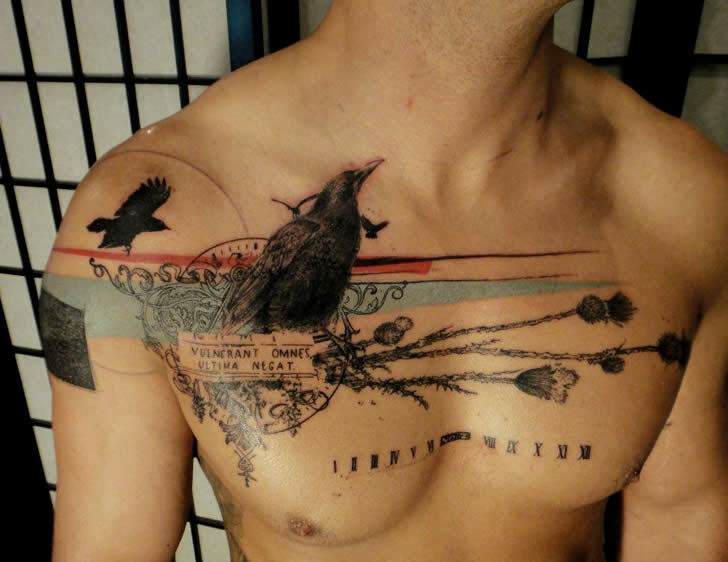 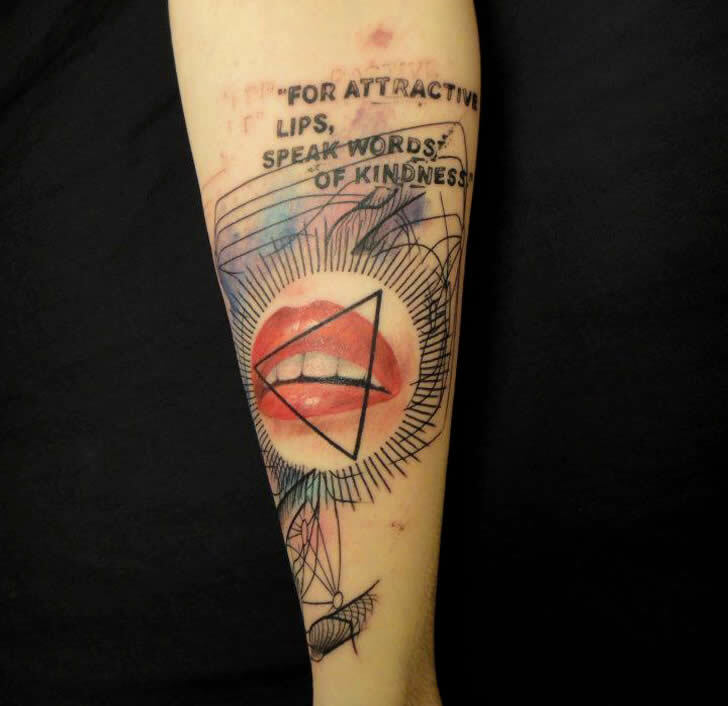 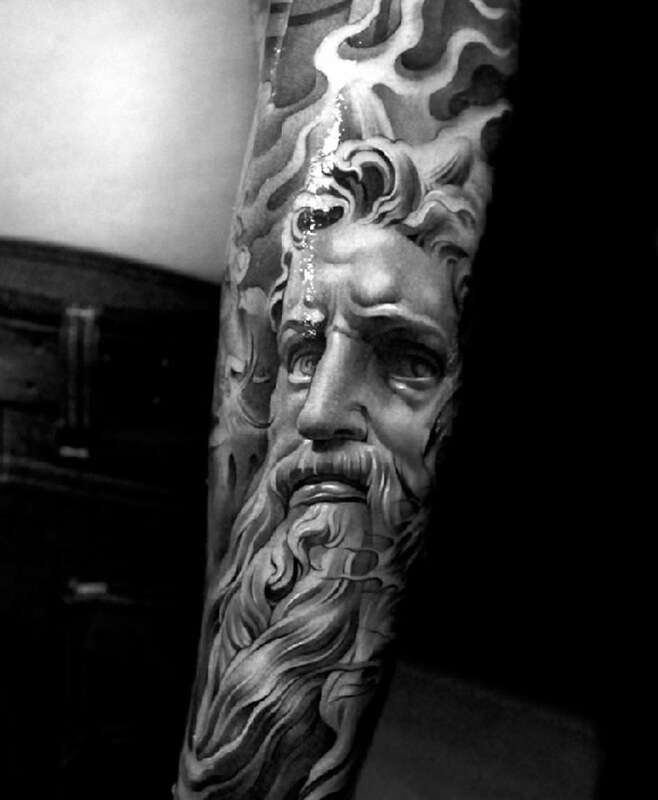 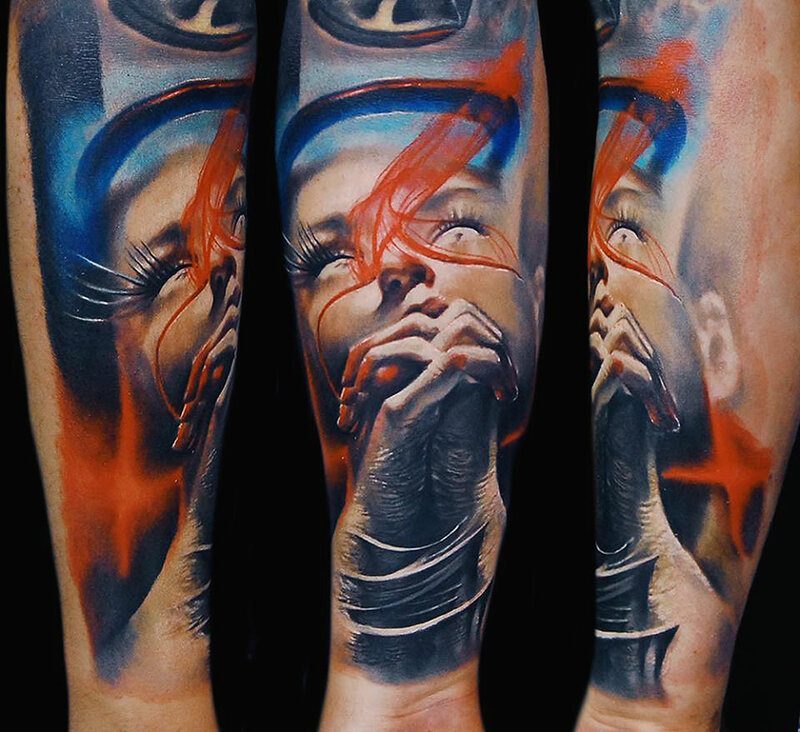 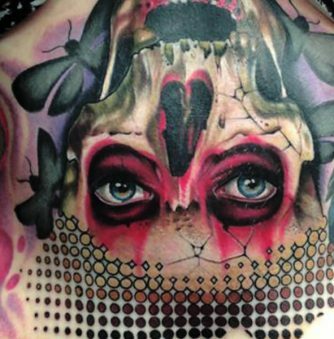 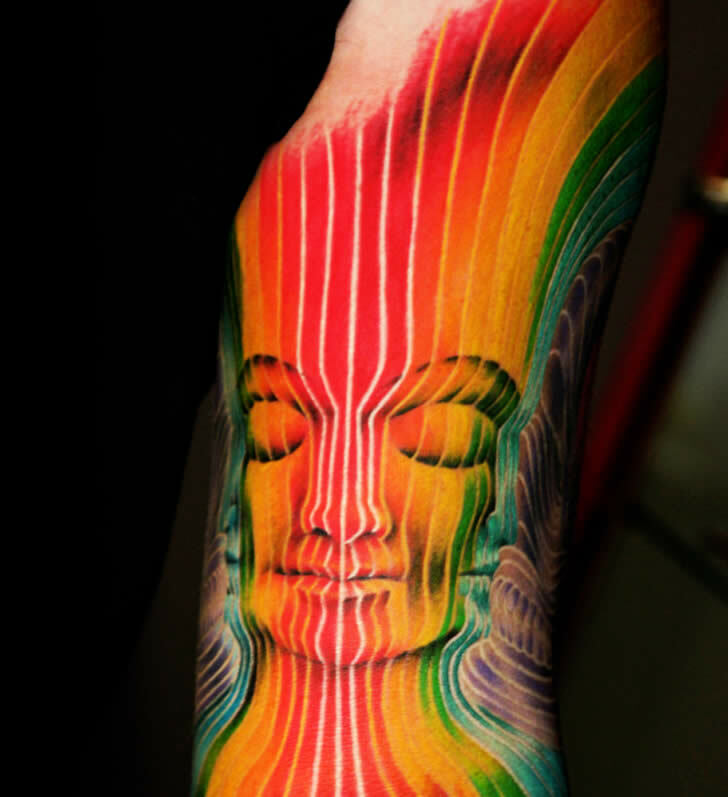 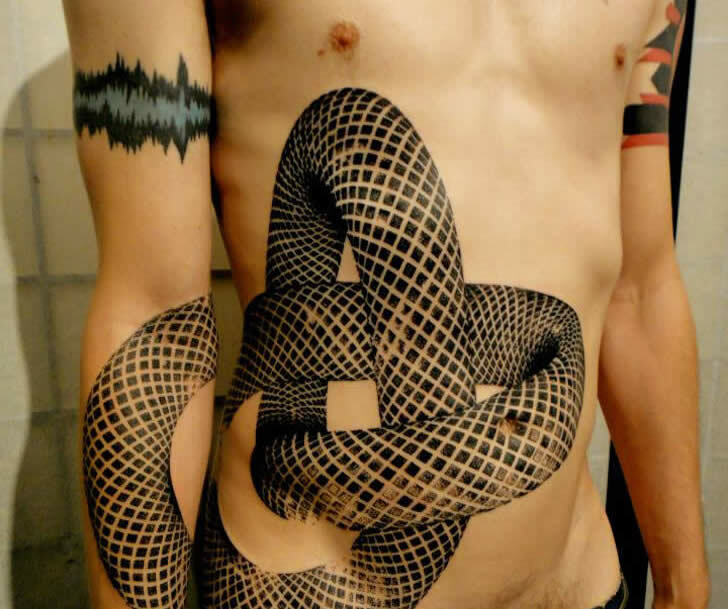 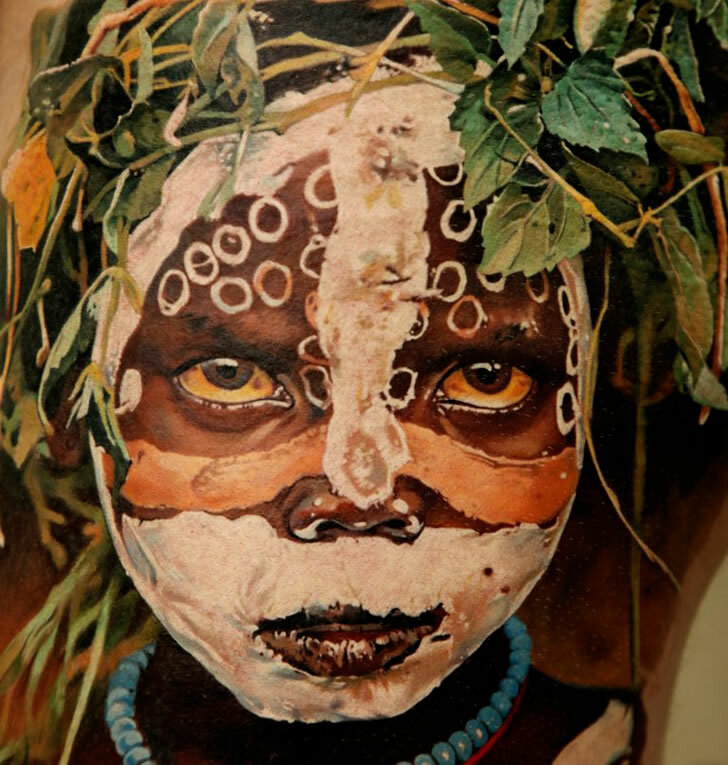 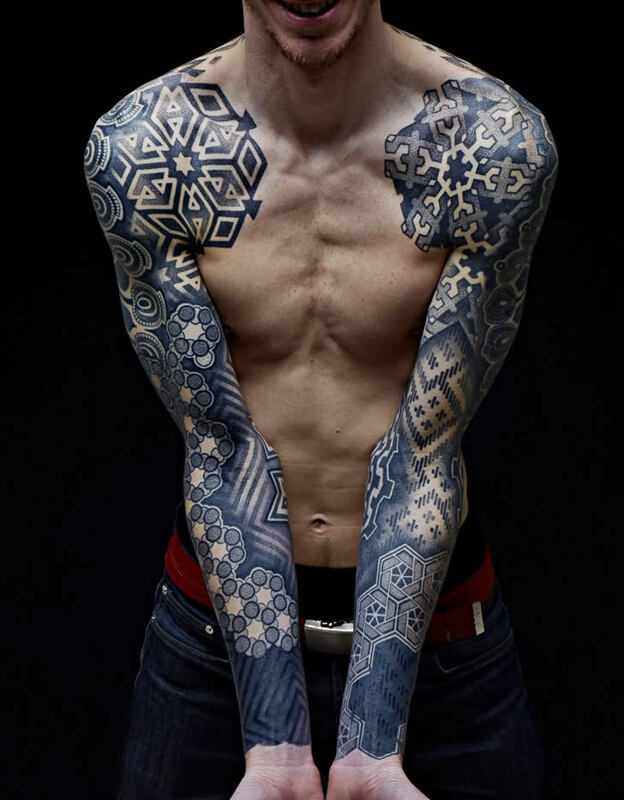 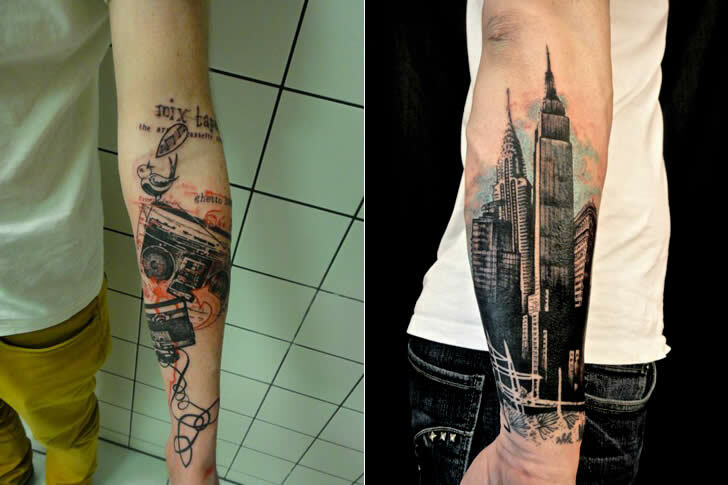 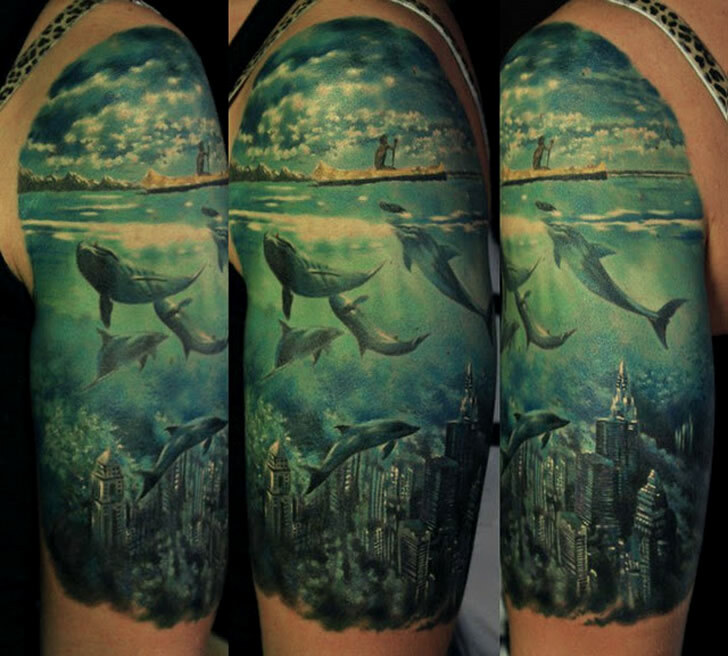 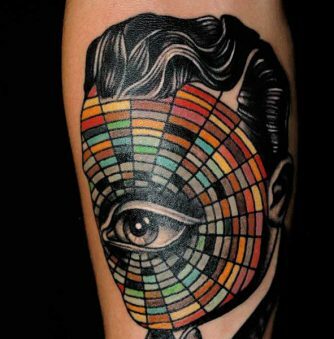 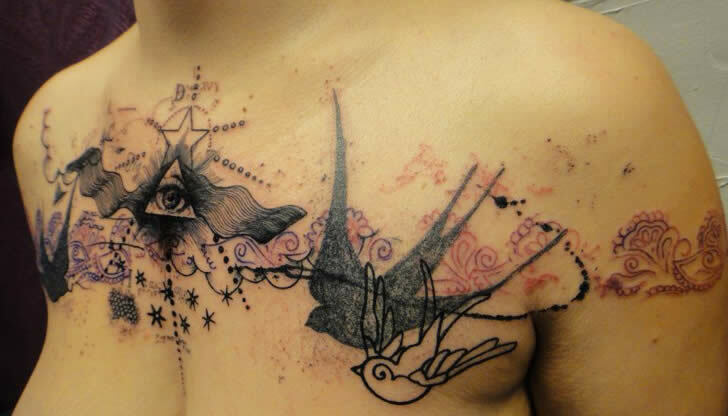 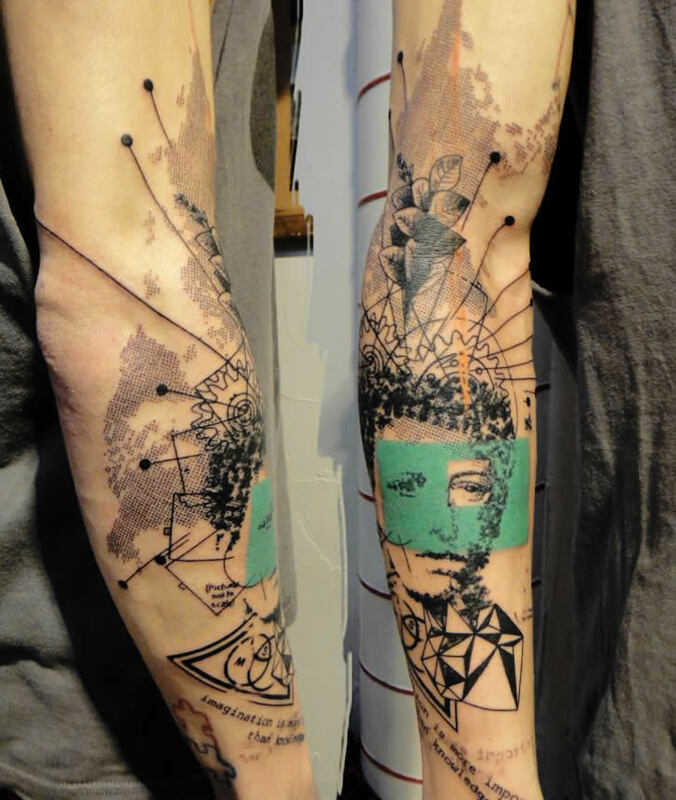 It is quite impressive how he is able to create different textures with a tattoo machine. 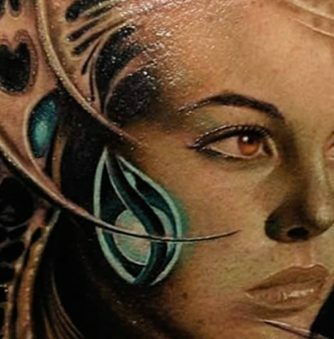 Cyclops, Gay Sailors Kissing, and More!